5 Films to Watch Because of/instead of Hail, Caesar! The Coens have long had an issue with their endings. I explored this a bit when discussing Inside Llewyn Davis; a film that found some kind of solution to the problem. In that case they avoided a disappointing, uneventful pay off by ensuring that very little actually happened at any point during the film. No need for a crescendo if you don’t build up to one. This worked with Inside Llewyn Davis because it was an interesting character piece but the brothers have played the same game with less success in their new film, Hail, Caesar!. The plot, as it is, shows us a couple of days in the life of a studio fixer working in 1950s LA. His main concern is the disappearance of one of his star actors, abducted from the set of a religious sandal picture, but he also has to deal with creatively stifled directors, unmarried pregnant starlets and gossip columnists. The story is thin and doesn’t go anywhere surprising but what the film does give us is a series of set pieces pastiching heyday Hollywood. Fun as these are though, in homaging old movies, they’re not doing anything new. If you want great dance numbers you don’t need to see Hail Caesar; there are any number of films already out there that tick the same boxes in bigger and better ways. Here then is a list of films and sequences Hail, Caesar riffs on. If you’ve seen the film and are curious about what it is referencing, if you’d rather watch the original performances of if you just want to know a little about 40s and 50s American cinema, there is plenty here to appreciate. The best part of Hail, Caesar is undoubtedly Channing Tatum’s song and dance routine. The idea here, of sailors lamenting the lack of women they see when at sea, comes from the Gene Kelly and Frank Sinatra film On the Town (1949). The movie simply relays the events of one day’s shore leave in NYC with all the innocence and exuberance typical of the clean cut US musicals. It is highly endearing. See for yourself. The Coen’s film takes its title from a picture George Clooney’s pompous actor Baird Whitlock is making about one Roman’s transformative meeting with Jesus Christ. 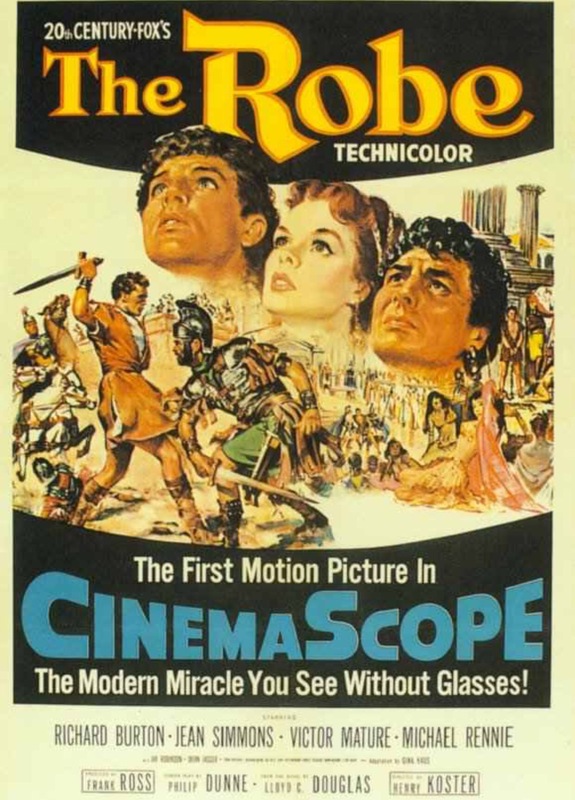 There were a selection of these biblical epics sixty years ago but the best is probably The Robe (1953). There is one particular scene where Victor Mature, touched by his own encounter with the Son of God, is desperately trying to find out what has happened to him. The film is cheesy in the extreme by modern standards but the pay off here still packs a punch. Elsewhere in this new movie Alden Ehrenreich features as a singing cowboy similar to Gene Autry or Roy Rogers. These two performers were immensely successful, making a long string of films across the 30s, 40s and 50s. Generally they would do eight to ten features a year and both of them ended up with TV shows when audience interest shifted to that new medium. The best example of their type of celebrity can actually be found in Hollywood Canteen (1944), a movie that featured many stars of the day as themselves. Here Rogers and his horse Trigger turn up to entertain the crowds demonstrating the schtick that made them both hugely famous. In Hail, Caesar! much humour is derived from taking Ehrenreich’s crooning cattle hand and placing him in a prestige drama. Ralph Fiennes does a nice turn as the patient but pretentious director. To give you an idea of how Hollywood pushed these types of films you need to see the original trailer for The Heiress (1949). The movie is an adaption of the Henry James novel Washington Square but the promo is far more concerned with the accolades previously collected by its director and its stars, two accomplished stage actors and… a cowboy. As a teenager Esther Williams was a championship winning swimmer and having discovered her working in an LA department store MGM built a whole genre around her. These splash musicals are parodied in Hail, Caesar! with Scarlett Johansson as the bathing beauty (a term that was actually the title of one of William’s first films). To best get the idea of the draw of these aquatic epics you should see Easy to Love (1953) which marked the high point in terms of spectacle but also marked the end because the studio threw everything they had in the water but people stopped buying tickets. Within the context of its story Hail, Caesar also references the communist conspiracy films of the time like The Red Menace (1949) and The Woman on Pier 13 (1949) and there is a touch of Hitchcock about it in places. Tilda Swinton turns up as well, channelling Rosalind Russell from His Girl Friday (1940) but Jennifer Jason Leigh already did this better in the Coen’s Hudsucker Proxy. Hail, Caesar! is enjoyable then but like The Artist a few years ago it kind of banks on the majority of its audience not knowing that most of what is on the screen has been done before. It isn’t even the first film to have that title. 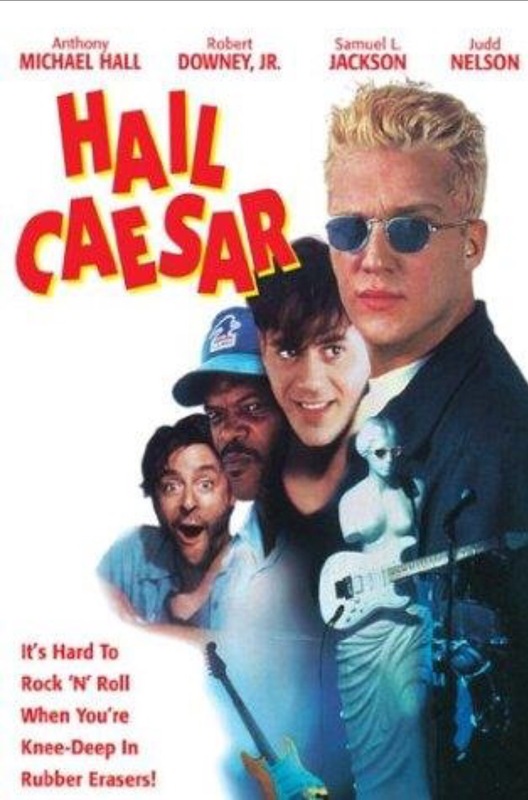 There was a movie called Hail Caesar in the mid 90s with Anthony Michael Hall as a rock star working in an eraser factory. That one you can probably give a miss though. The Oscars 2016 – What Won, What Should Have Won.